The Ozark 2241 Flat Back Mandola features a natural satin finish solid Spruce top and solid Mahogany back and sides. The New Celtic Model has a unique Celtic knot sound hole design with matching wooden inlays on the 20-fret Rosewood fingerboard. The natural finish Mandola delivers powerful rich sound with plenty of projection. 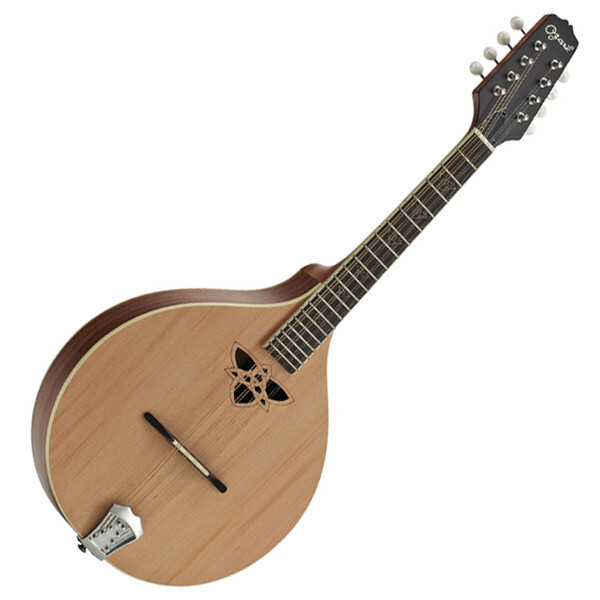 Supplied with a custom gig bag, the 2241 Mandola from Ozark is perfect for the travelling musician.